The Grande Prairie & District Branch received its Charter from the Alberta Genealogical Society on February 28, 1978 with the induction of 33 members. It took ten years for the group to find a permanent location for a meeting place until a partnership with the Grande Prairie Public Library was established. This became the location for our meetings and our library collection. A newsletter, Heritage Seekers, was launched that spring to provide information about meetings, conferences, research, websites and tips to the members. Heritage Seekers has been published continuously four times a year and now provides members with a platform to write and share their research stories. 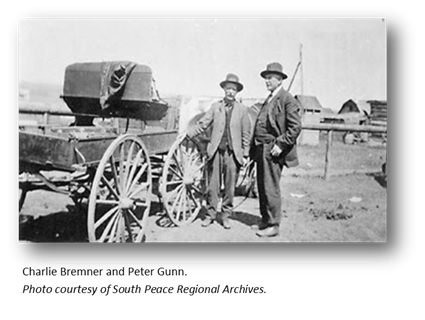 Grande Prairie Branch has always supported the provincial body of the Alberta Genealogical Society, and had the pleasure of hosting the Alberta Genealogical Society’s AGM and conference in 1982 and again in 2003. Through the years we provided research and education to the public through our Family History Day, “Genies in the Library” Program, and recognize the “Clan of the Day” at the Highland Games by presenting them with their family history. These programs and activities are continually evolving to meet the needs of the members and the community. The Grande Prairie & District Branch established the Margaret Kay Scholarship to remember our friend and fellow member. Margaret was an enthusiastic supporter of our Branch. A teacher by profession, she generously shared her knowledge and was a willing volunteer at both the Branch and Provincial levels. The scholarship for genealogy fosters Margaret’s spirit of learning, teaching and sharing genealogical knowledge, specifically as a family historian hobbyist. Grande Prairie & District Branch is fortunate to have so many dedicated and long term members who continue to meet the challenges of the changing world of genealogy and who passionately share their knowledge.